HURRY and Sign Up your Household on our Online Registration Portal and you will be entered to win weekly prizes and a grand prize in June. Click HERE to go to the Online Registration site. To help you better find what FUN event or activity you are looking for, we have created this quick alphabetical listing. Click on the event, activity, etc that you want to view, or scroll down on this page. 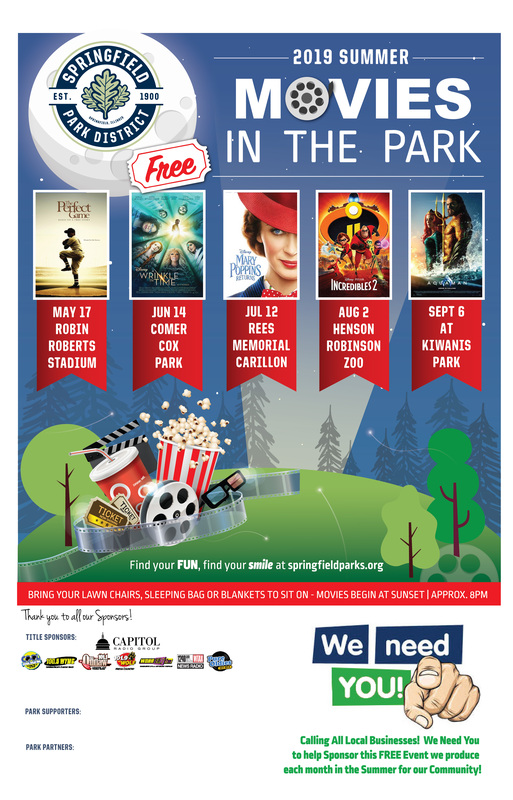 2019 Summer Movies in the Park Line-up is out! We NEED Local Businesses to join our list of sponsors for the 2019 Movies in the Park series this summer! 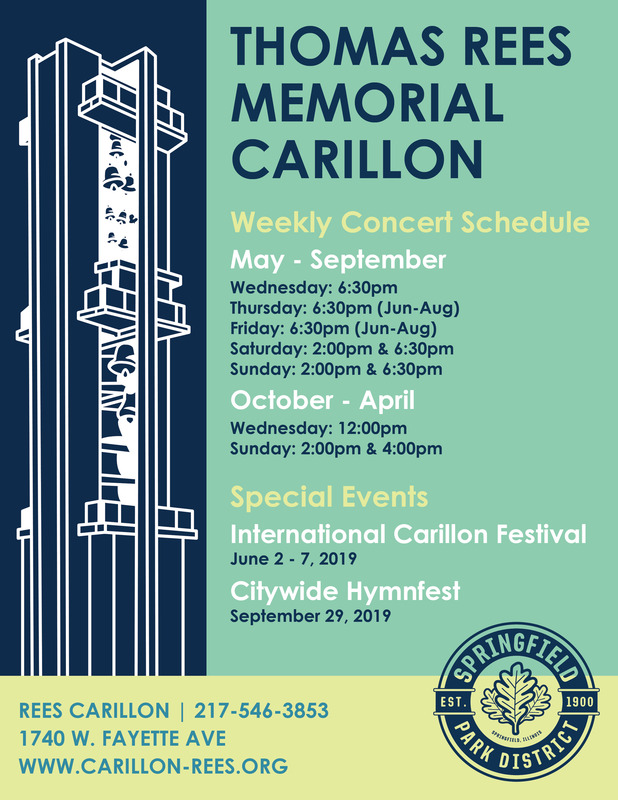 We are opting out of our music concerts for 2019 so that we can support Downtown Springfield Inc. & promote their summer concerts in downtown Springfield. 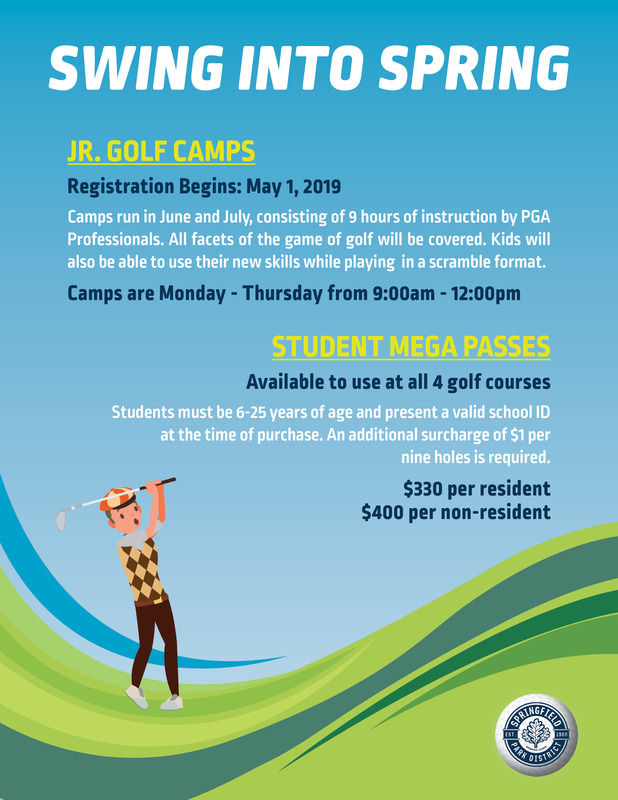 The Springfield Park District offers 3 Junior Golf Camps (two in June and one in July) that consist of 9 hours of instruction by PGA Professionals that will cover all facets of the game of golf including etiquette, Rules of Golf, putting, chipping, and full swing instruction. Kids will also have an opportunity to play in a scramble format (amount of time on the course varies by age). Camps are Monday-Thursday from 9:00 a.m. -12:00 p.m. (Mon-Wed @ Lincoln Greens, Thurs @ Bergen GC). Registration Begins: May 1, 2019. Students must be 6-25 years of age and present a valid school ID at the time of purchase. An additional surcharge of $1 per nine holes is required. 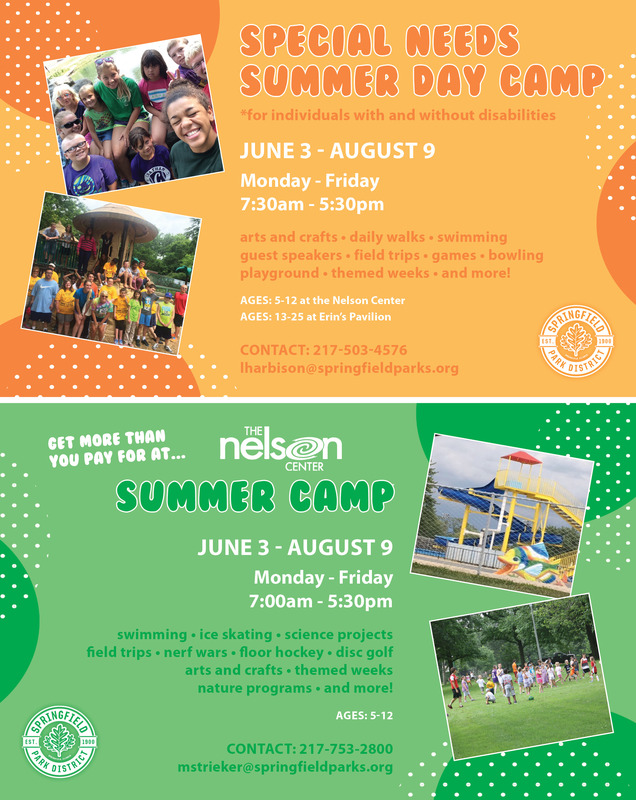 Find your FUN at one of Springfield Park District's Summer Camps! Below is information about two different summer camp options. This camp is for individuals with or without disabilities. The camp runs from June 3rd - August 9th, Monday through Friday from 7:30am - 5:30pm. Ages 5-12 will be located at the Nelson Center. Ages 13-25 will be located at Erin's Pavilion. Some activities to look forward to are: arts and crafts, daily walks, swimming, guest speakers, field trips, games, bowling, playground activities, themed weeks and more! For more information about Special Needs Summer Day Camp, please contact: 217-503-4576 or lharbison@springfieldparks.org. At this unique camp, you get more than what you pay for! For example, we offer both swimming lessons and ice skating - what other summer camps do that? This camp runs from June 3rd - August 9th, with no camp on July 4th. Camp is Monday through Friday from 7:00am - 5:30pm. Ages 5-12. Some activities to look forward to are: swimming lessons, ice skating, science projects, field trips, nerf wars, floor hockey, disc golf, arts and crafts, themed weeks, nature programs and more! For more information about this camp, please contact: 217-753-2800 or mstrieker@springfieldparks.org. 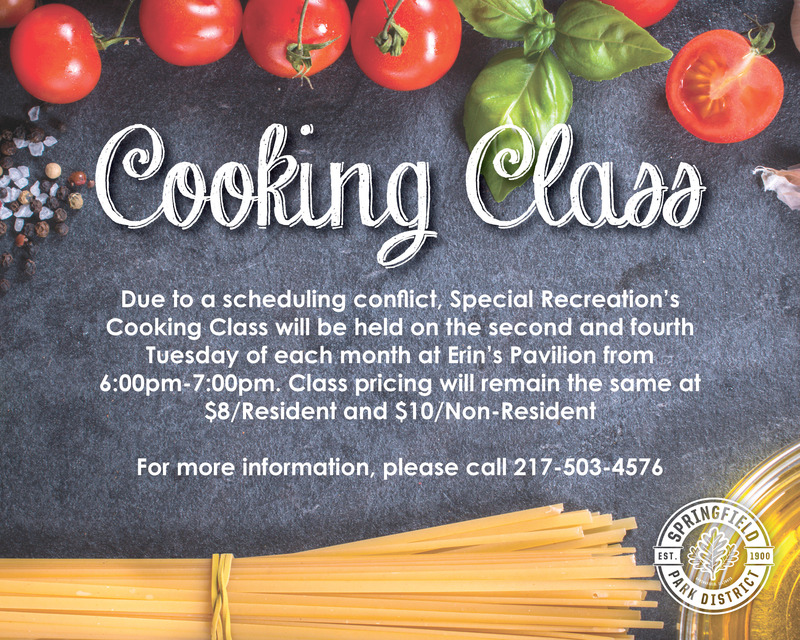 Due to a scheduling conflict, Special Recreation’s Cooking Class will be held on the second and fourth Tuesday of each month at Erin’s Pavilion from 6:00pm-7:00pm. 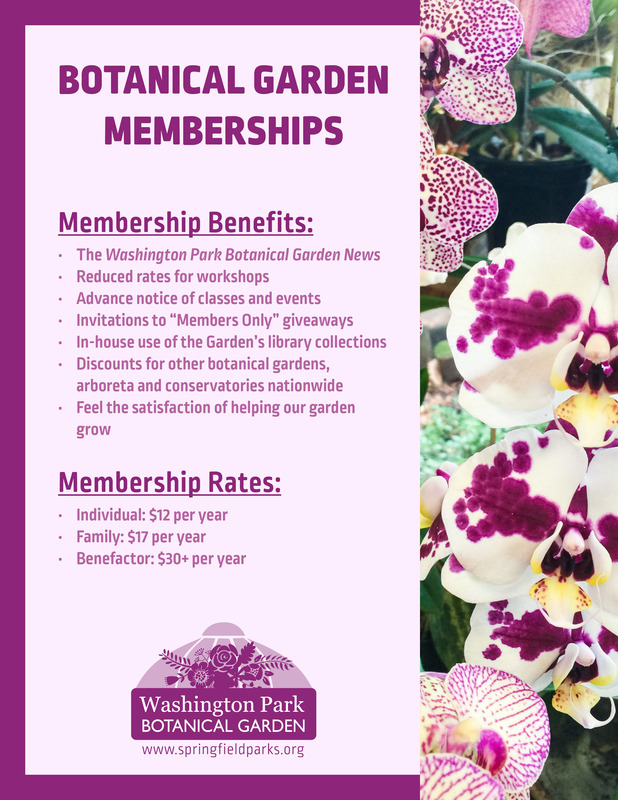 Class pricing will remain the same at $8/Resident and $10/Non-Resident. For more information, please call 217-503-4576. 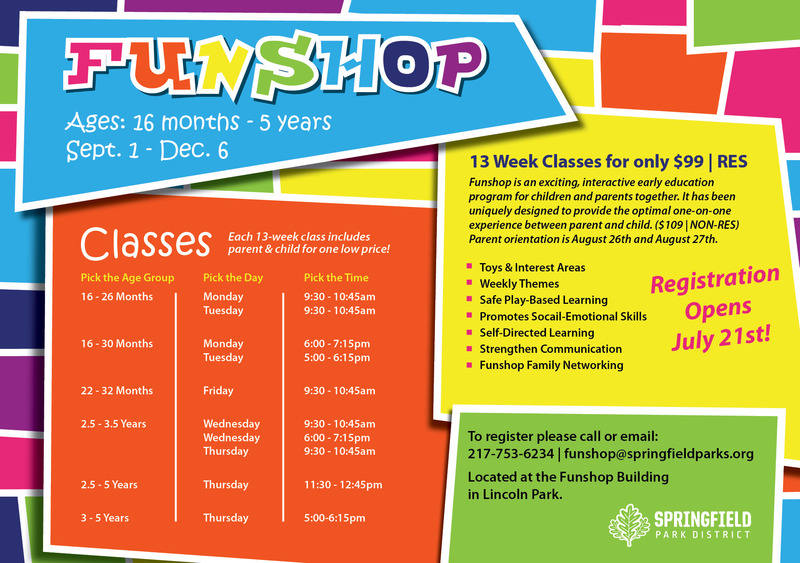 Funshop is an exciting, interactive early education program for children and parents together. It has been uniquely designed to provide the optimal one-on-one experience between parent and child. $84 per Resident and $94 per Non-resident. Parent orientation is June 3rd and June 4th. Funshop is an exciting, interactive early education program for children and parents together. It has been uniquely designed to provide the optimal one-on-one experience between parent and child. $99 per Resident and $109 per Non-resident. Parent orientation is August 26th and August 27th. 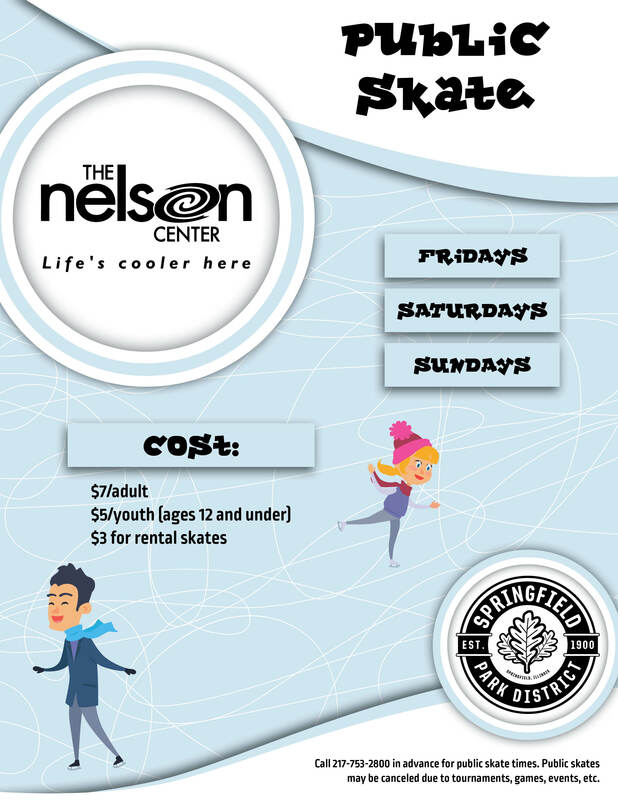 Come out to the Nelson Center and skate! Check out the December calendar to see available dates and times. Call 217-753-2800 to check availability. The world’s most popular sport. Soccer is great exercise, running up and down the field scoring a goal! The team will also work on kicking, dribbling, and shooting. 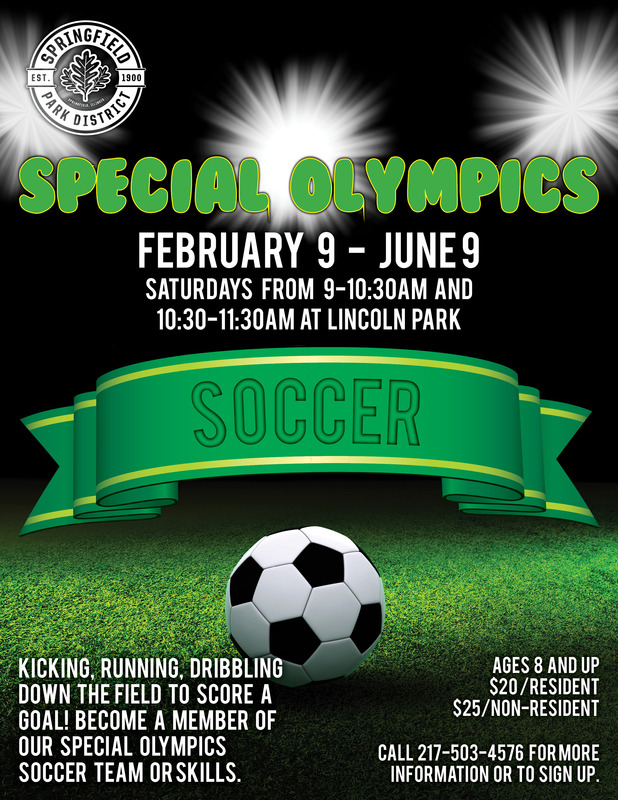 Join our special olympics soccer team. Must have a concept of offense and defense to be part of the team. Ages 8+. Saturdays from 9:00am - 10:30am between 02/09/2019 - 06/09/2019. $20 Resident Fee, $25 Non-Resident Fee. Special Olympics soccer skills consists of shooting the ball into a goal, dribbling up and down and fast shooting into smaller goals. Ages 8+. Saturdays from 10:30am - 11:30am between 02/09/2019 - 06/09/2019. $20 Resident Fee, $25 Non-Resident Fee. 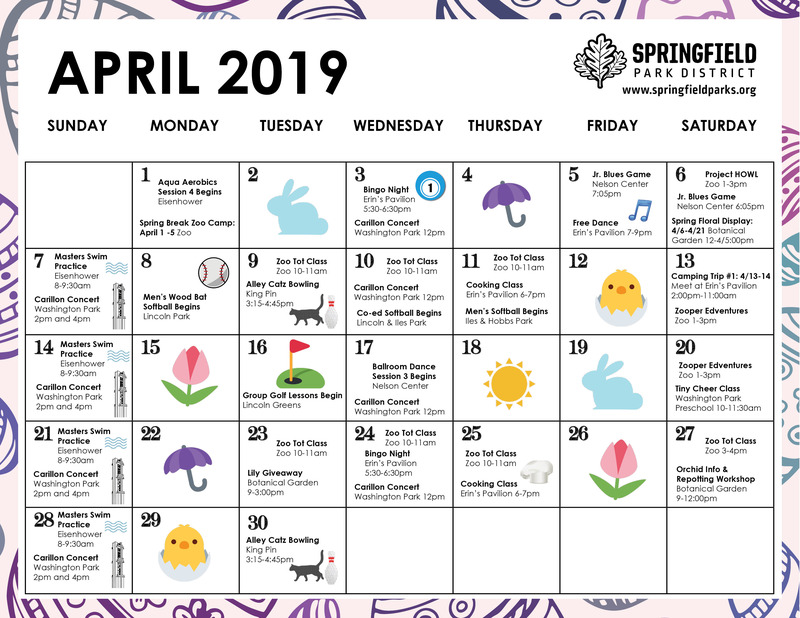 Here is a fun calendar that you can print off and stick on your fridge! 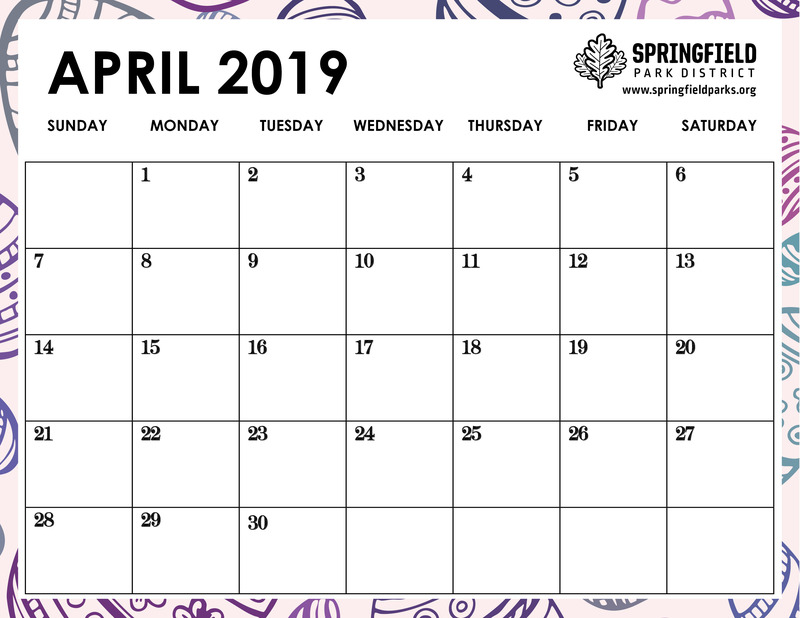 Use the blank one to add in all the FUN activities and events you'd like to attend with the Springfield Park District this month. Or print off one that has activities and events filled in for you! Click the images below for a printer-friendly version. 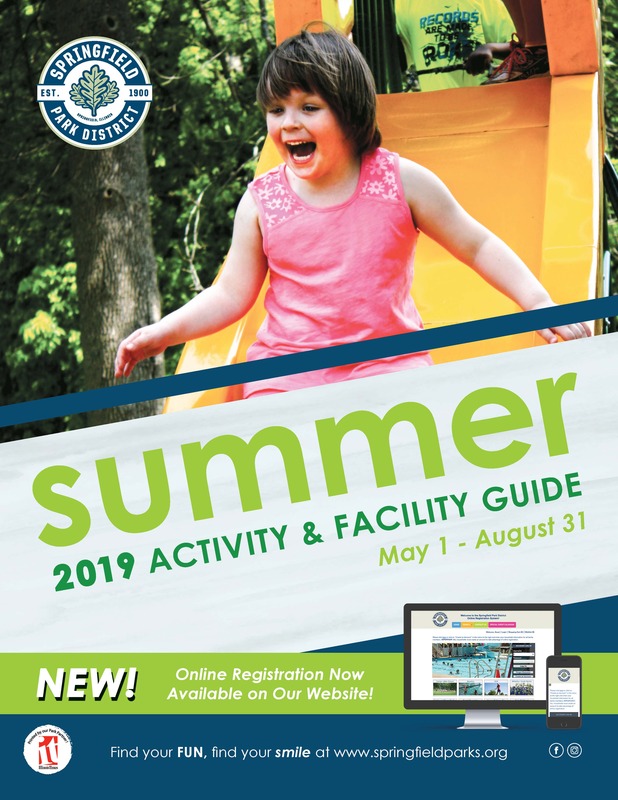 Our 2019 Summer Activity and Facility Guide is here! Make sure to pick up a copy from one of our Park District facilities. 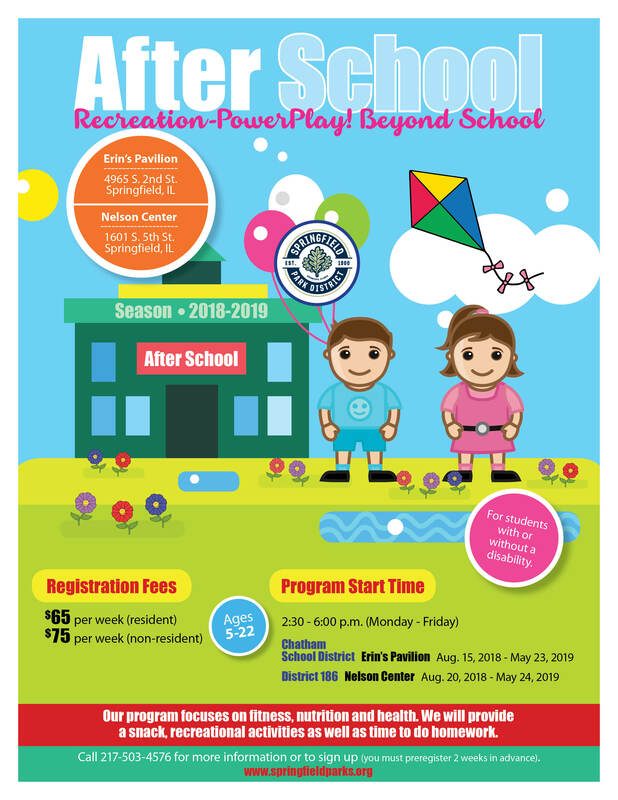 This is a MUST HAVE resource for everything Springfield Park District for the Summer of 2019! Click the image below to view the online version. Our After School program focuses on fitness, nutrition, and health. We will provide a snack, recreational activities as well as time to do homework. NEW EXTENDED HOURS OPEN UNTIL 6PM. Call 217-503-4576 for more information or to sign up. Chatham School District students will be located at Erin's Pavilion and District 186 Student will be located at the Nelson Center. 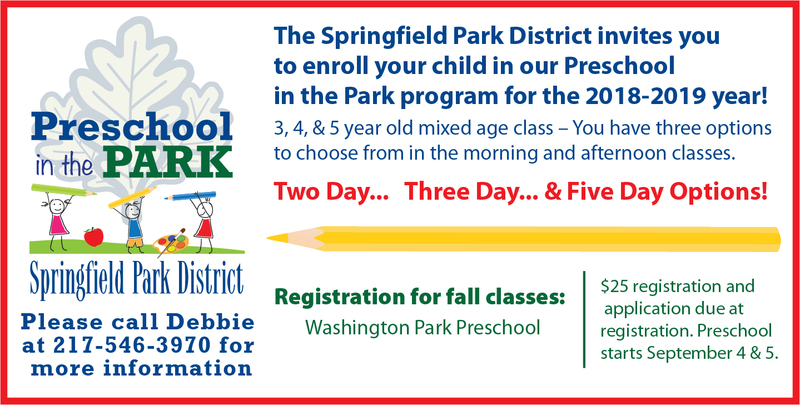 The Park District offers play-based pre-school programs at Washington Park Pavilion with a curriculum is based on the Illinois Early Childhood Learning Standards. The philosophy of the pre-school program is that every child should be given the best chance to grow and develop intellectually, emotionally, and socially. Call 217-546-3970 for more information or to sign up. 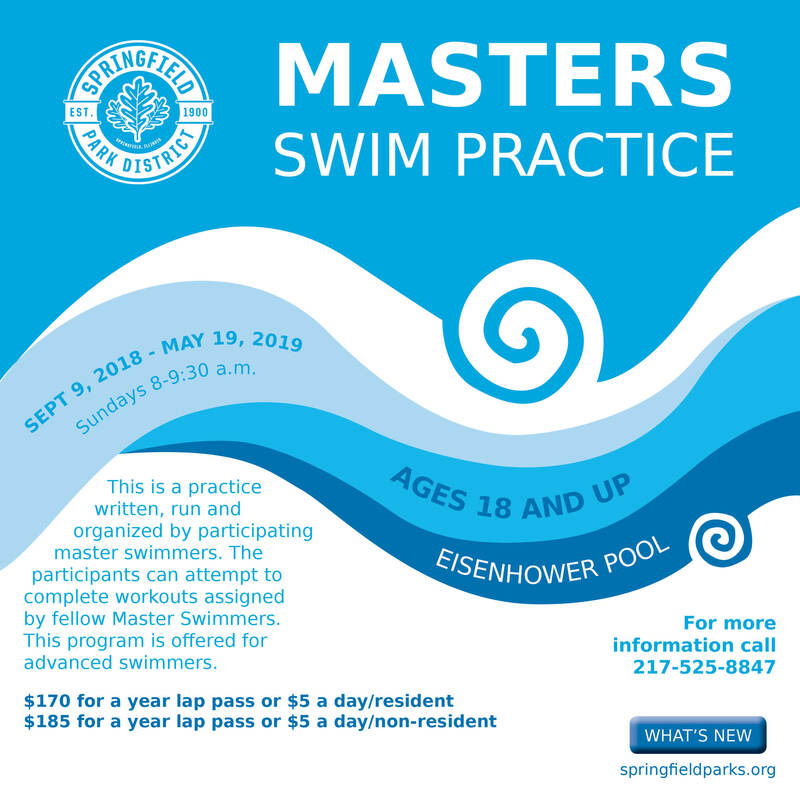 This is a practice written, run and organized by participating master swimmers. This program is offered for advanced swimmers. Participant must have an up-to-date year lap pass or purchase a day pass. Call 217-525-8847 for more information. 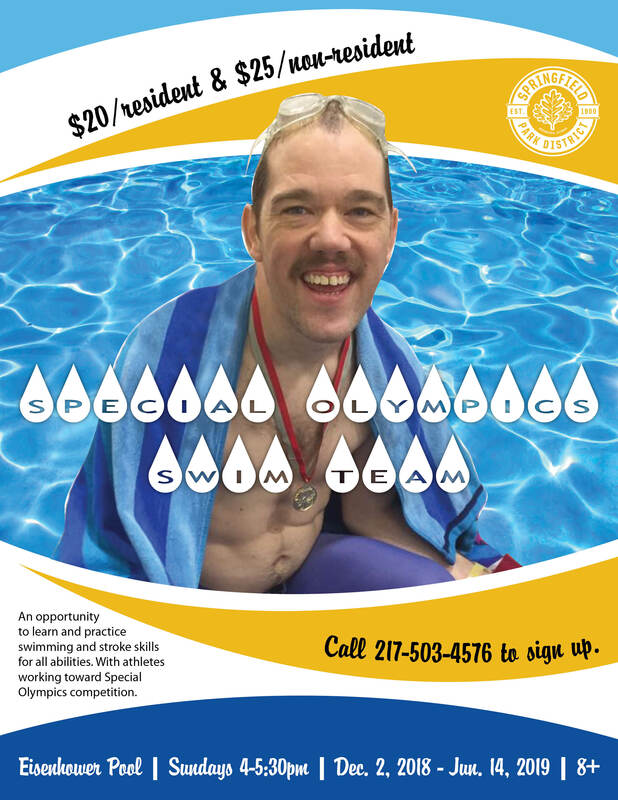 This is an opportunity to learn and practice swimming and stroke skills for all abilities. With athletes working toward Special Olympics competition. Practices begin on December 2, 2018 and run until June 14, 2019 at Eisenhower Pool on Sundays from 4:00pm to 5:30pm. Call 217-503-4576 for more information or to sign up.